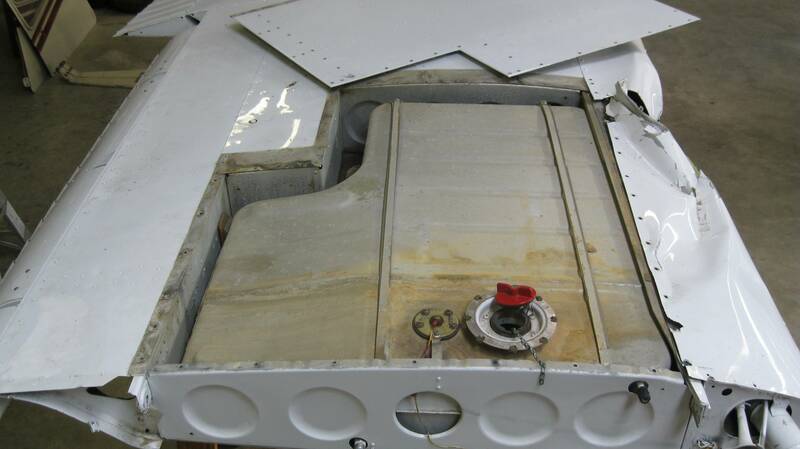 We need to replace the fuel tanks on a Cessna 150 and the screws holding the wing cover won't come out. They are just frozen in place. I think that the paint also may be working against us: Getting the paint out of the screw heads has been difficult. So far no screw heads have been rounded off. Have any of you had this problem before? Also, how is the female part under the skin made? Is it like a j-clip nut that can be replaced, or is the nut part a pressed into the frame? First the standard disclaimer: If you're in the US and you're not a licensed A&P mechanic, take the plane to your mechanic. (If you're working with your mechanic on this job and helping out by removing the cover plates you've reached the point where it's time to go tap them on the shoulder and ask for help, because the steps to remove frozen screws can do serious damage if you mess up). Frozen screws on infrequently-opened access panels are pretty common, and there are a few ways to get them free. You'll note I've drawn a line in this answer: Anything above the line you can probably do on your own, if you have to move to the techniques below below the line let your mechanic do the work (at least until you're confident you can do it without messing up). Step one for removing a frozen screw is to make sure they're not painted in place - you'll need a paint cutter (your mechanic probably has one) and/or an x-acto knife. Cut the paint around the head of the screw using the paint cutter (or the x-acto knife and a very steady hand), and use the x-acto knife to clean out the screw head so your screwdriver can get a good grip. Sometimes this is all it takes and the screw comes out on the next try. If not, keep going. Step two for removing a frozen screw is to use a "penetrating lubricant" - Kroil is commonly used, and Corrosion-X can also do a good job (more about that later). Put a little on each screw and let it work its way into the threads for a while (15 minutes is a good starting point), then try to break the screw loose again. It may take more than one application of penetrating oil to do the job. Two notes about penetrating oils: One, they need to be able to get to the threads in order to work (that's why step 1 involves cutting the paint). Two, don't use one that contains silicones (they will embed in the metal grains and make future paint jobs a major pain). Hopefully the penetrating oils will work, otherwise you're going to move on to more destructive processes. Step Three involves getting a little more aggressive with the screw in question. Typically by the time you get here you've at least slightly damaged the head trying everything else, so grab a grinder or dremel and cut a flat line into the screw head. This will give you purchase for using a regular (flat-blade) screwdriver, which will hopefully let you apply more torque to the screw. You also want to keep applying penetrating oil while you do this. The trick to Step Three is cutting the head deep enough that the blade won't cam out, but not so deep that you compromise the head-to-shank connection in the screw and snap the head off when you try to turn it. This is a bit of an art, so it's best to have your mechanic step in at this point. If you screw up here you're on to step four, and you don't want to get to step four. . . Step Four is drilling the f#! @ing screw out. When all else fails you take a drill right through the screw, demolishing it. Your mechanic almost certainly has appropriate drill bits for this, and the skill to do it without seriously messing up the screw hole / nut plate / cover panel / surrounding skin. Even a skilled mechanic may damage rivnuts or nutplates drilling out a screw, and will then have to replace the damaged piece before a new screw can be inserted. Once you get the screws out (and your mechanic will - eventually - mechanics always win when screws pick a fight) there are some steps you can take so the next person who has to get this panel off doesn't suffer as much as you did. Don't paint the screws/panel in place. If you damage the paint getting the screws out touch it up and let the touch-up cure before you put the panel/screws back on so the paint isn't acting as a glue holding it all together. Also for the love of sanity don't paint the screws - See #2, and if you repaint the plane do it with this panel off. Replace the standard screws (probably cad-plated steel) with stainless steel screws. Stainless screws will corrode, but they're much slower at it than the cadmium-plated steel screws (the cadmium plating that keeps them from rusting in place gets rubbed off as you screw them in). Stainless screws also don't need to be painted like the cadmium-plated ones do, so you won't have to pick paint out of the screw head. Apply a corrosion treatment before reassembly. Blast the nutplates/rivnuts/etc. with Corrosion-X or similar - also try to hit any other areas you can reach while the panel is open and things are apart. Apply a corrosion treatment to the airframe regularly. Less important if the aircraft is kept in a hangar, but for aircraft tied down on a ramp having a corrosion treatment done every few years will help keep screws from freezing in place. Doing anything with sheet metal fastening systems is extremely delicate. First of all, I would strongly recommend not doing anything mechanical, like use metal scrapers, dremels, gouges or anything like that. The first step is to use a chemical paint stripper to remove excess paint. Use wood (like a toothpick) if any scraping is involved. Never use a screwdriver to try to gouge out paint. To loosen the screw use heat. I would use a soldering iron of the type used for plumbing. Make sure have a stand for the iron. Do not just lay it on the ground (or worse, on the plane). Touch the iron to the screw to heat it up, then try to unscrew it gently. If one application does not work, use an ice cube to cool it down, then heat it up again. Just FYI, this is the way auto mechanics get off tough nuts and screws. They grab a torch and fire away. Obviously, with an aircraft you want to be a lot more delicate, but the principle is the same. Just went through the pain in having to remove the leaking right fuel tank from my 1975 C-150M during an annual inspection. I've owned the plane 3 years. All 46 screws for the skin and cap plate were frozen and covered in several coats of paint. Tried step 1--No joy. Tried step 2 with PB Blaster--No joy. Tried step 3--Nada. The IA had to drill out most of the screws (a few backed out using left-hand drill bits). It was a 2-day ordeal. Also discovered one of the two retaining straps was broken and (unknown to me) inside the tank there was a half-melted plastic fuelHawk gauge, a yellowed flexible plastic gas tank filler cap and the gas cap chain. IA suspects all have been in the tank at least a decade or more. Got the top skin back on today and finished the annual. The culprit turned out to be a leaking sending unit on top of the tank--undetectable until we got the entire skin off. If I ever re-paint the wings, I'll paint all access panels separately and use stainless steel screws. After a couple annuals, the pain is going to come off the screws anyway. Not the answer you're looking for? 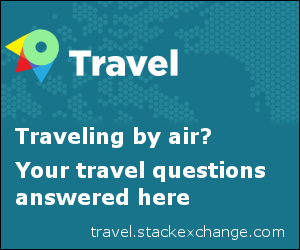 Browse other questions tagged aircraft-maintenance cessna-150 or ask your own question. What is this molten metal coming from the engine of an Avro RJ 100? What design feature prevents the fuselage skin from completely tearing off? What is the best extinguishing agent when wheels catch on fire?